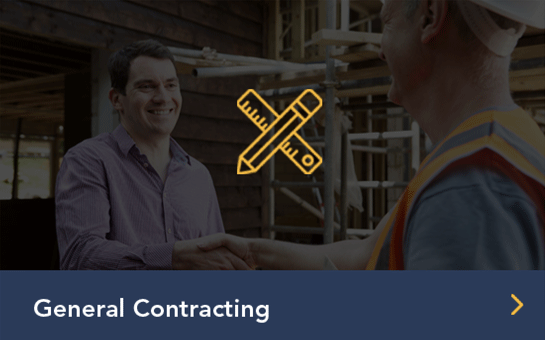 We are federal construction experts who specialize in the performance of high-volume IDIQ contracts. Our experience performing more than 3,000 stand-alone and task order construction projects had led us to develop a diverse foundation of project experience; from the removal and mitigation of bird nests from 40 plus buildings at Fort Hood, to the construction of a new 83,500 square foot/$35 million battle command training center at Fort Carson; and performance of a Job Order Contract at Washington State University. NASCO has conducted large-scale operations supply support and services for some of the largest projects in the world. We identify possible short-term as well as long-term savings to help safely maximize our customer’s resources, production, and profits. We support US military operations by providing construction management services to all five branches of the military. To date we've worked on over 50 secure military bases and federal installations providing sustainment, restoration and modernization of facilities used to support US soldiers and their families. 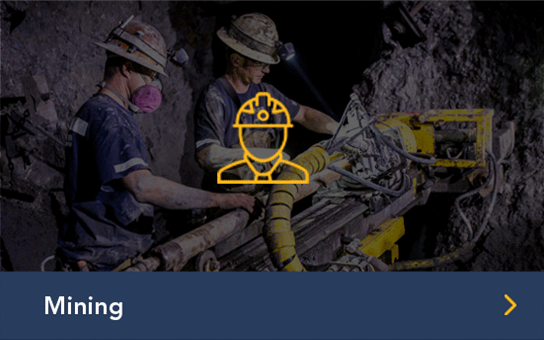 NASCO’s health and safety program is guided by the belief that our people are our greatest asset and that every employee’s health and safety must receive top priority and support. 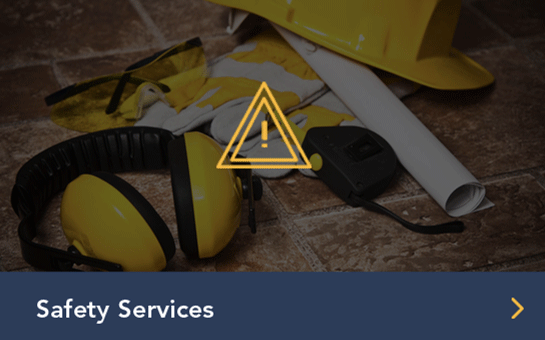 Our team of safety professionals work to deliver customized, state of the art safety services necessary to protect employees, reduce losses and insurance costs, and ensure compliance with federal and state rules and regulations. We’ve established long term and reliable relationships with a large base of local and specialty trade subcontractors all over the US through integrated partnerships with our on-site project teams, paying our subcontractors on time, and offering training and assistance with regulatory and contractual requirements. NASCO has an admirable bonding capacity and we are debt free. Our geographical footprint of construction operations spans over 30 states where we have performed more than 3,000 projects over the last 20 years. Our core values are honesty, hard work, and dedication. We bring these traits to every job. We never take a project for granted. We have a down-to-earth, roll-up-our-sleeves and get-to-work mentality shaped by our small-town culture where quality, reputation, commitment, honesty and hard work really do matter. “Brian and his team have been first class, his ability to not only keep the schedule and the project on track, but to also keep our staff informed has been extremely beneficial to our department. The finished product is exactly what our agency needed and we thank you for a job well done." “The NASCO contract has been the best IDIQ we have awarded in the 22 years I have been doing this." "With your effective safety program, a safe construction site was maintained through all phases of construction, resulting in an accident free, safe construction site for all workers. Your company has demonstrated and proven with your dedicated safety program conjunction with the Corps safety program that the zero accident construction site could be obtainable. Congratulations on your success and job well done!" "The entire DEQ/DPW response was lightning fast and the final product could not have been better. Plus, all players were cordial and created a very pleasant work relationship." "Holloman Air Force Base will have our swimming pool grand opening this Friday, and I just want to extend my thanks to your team who worked so hard to make this possible, especially Sandra Gilliland, Brian Turnbull, Annette Hinkle, and Stephann Dannemann. Your team finished three weeks ahead of the contractual due date, giving my team enough time to finish the final preparations for the holiday weekend. Your outstanding performance on this project has been noticed, and is appreciated!" “Most of this project work required NASCO to function as a design-build contractor for projects including energy conservation upgrades to existing building service systems, existing facility renovation, and new clinic construction. On all projects, NASCO personnel worked closely with federal personnel to create management teams that fully developed final project requirements. Throughout the process NASCO met all project scoping requirements and performed successfully to the satisfaction of the Albuquerque Area IHS OEHE." “NASCO provided a high quality project to the Government. Jim pointed out to me where NASCO had graded the overall site to ensure that there was proper drainage but took extra effort in the grading of the site to lower high spots and raise low spots, thereby eliminating an uneven terrain. NASCO understood that by providing a little extra fill and moving the dirt around to low spots, that the overall finish of the project is a now a compliment to the training area. My thanks and acknowledgment of their willingness to provide a high quality project to the Government are extended." “The power for Goddard was installed last Thursday. Thank you very much for your help in this. This had to be one for the record books - work complete a week after the site survey." “I am pleased with the work completed by NASCO. They were very accommodating and professional through the entire process and has given us a good product. I would recommend his work to anybody in the future." “Thanks to you and all of your contractors who have helped on this very important project. You have prepared a facility that will train soldiers to save lives in the War against Terror. You and your staff have been courteous, professional, and helpful. Thanks again for an excellent job." “This memorandum is to acknowledge superior performance by Native American Service Company (NASCO). The speed and quality of NASCO's work has been nothing short of phenomenal. They implemented methods to create the least amount of disruption to the daily work of the center and promptly cleaned up as they worked. All of the workers were courteous, respectful and extremely diligent in carrying out the work. The contractor's performance made an otherwise potentially disruptive process go smoothly. Thank you for your commitment to providing quality engineering services to your customers." “The Team understood and exceeded our needs for the entire time that they were here. In closing, I would welcome the NASCO Team back any time for any project." “The working experience was very good. 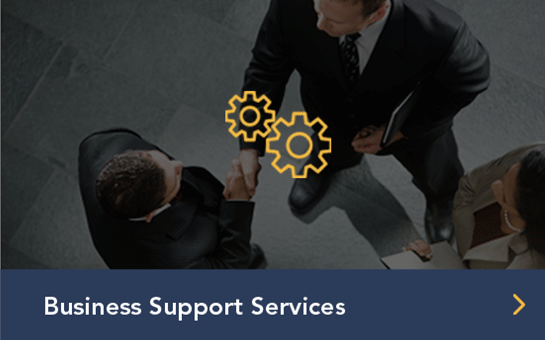 The owners, managers, and employees acted professionally during the entire course of the contract, and the result of NASCO's work was equally professional. As with all projects such as this, there were a couple of minor issues that arose, but in both cases there were resolved expeditiously." “NASCO was willing to alter work schedules to accommodate our patients and staff in order to prevent any potential hazards in the outpatient areas. The crews were fairly neat (for guys!) and routinely cleaned up their work areas each day. I have worked for IHS for nearly 20 years and have never encountered such conscientious work. It was a pleasure having them here; they made my job much easier than I anticipated." “The results were nothing short of exceptional. Thank you for your effort in support of a vital mission to our State and Nation, your efforts will literally provide the foundation for our newest squadron the 139th IS." “NASCO is familiar with, and has the knowledge and expertise for the special requirements needed for performing a variety of projects in the Native American communities. All of the contracts were satisfactorily completed by NASCO. NASCO has met all of the financial, technical and bonding requirements, prior to award, as required by the Federal Acquisition Regulations." “NASCO's ability to resolve unforeseen conditions including design changes with a proactive management approach has provided the highest quality and an outstanding facility. Their expertise and dedication to their mission emulates the high standards of the United States Marine Corps. NASCO has therefore gained trust, faith and confidence from the Marine Detachment, Ft. Gordon, United States Marine Corps. Thanks for a 'JOB WELL DONE'!" “During a turbulent Thanksgiving holiday period last month, DPW, NASCO, and subcontractors worked swiftly and efficiently to re-carpet the entire building in under a month. This impressive accomplishment involved the coordination with Navy, Air Force, Marine, and Army personnel and was done with minimal inconvenience to the customer. The efforts of DPW and NASCO employees involved with the GCHQ renovation resulted in a complicated project being completed in a timely, organized manner. We appreciate your support and look forward to future endeavors." NASCO partnered with Oculus Inc.—a national WBE-Certified, architecture and consulting firm, and was awarded one of six seats on a $100M contract to provide A&E Design and Construction (Design-Build) services for a broad range of renovation and construction projects in support of the Marine Corps Community Services (MCCS). NASCO was awarded a two-year, $4M Indefinite Delivery, Indefinite Quantity (IDIQ) Job Order Contract (JOC) to provide construction services for nine university owned campuses and facilities located across Washington, including Pullman, Spokane, Tri-Cities, Vancouver, Prosser, Wenatchee, Puyallup, Mt. Vernon, and Everett. NASCO will provide design-build services for minor construction, renovation, repair, and alteration projects for classroom, research, laboratory, clinics, administrative spaces, sports facilities, veterinarian, utility, and other university facilities. MIRADOR-NASCO JV, an SBA approved Mentor-Protégé Joint Venture, is one of four recent awardees for $45M Multiple Award Task Order Contract (MATOC) for Design-Build and/or Construction type Task Orders. NASCO was recently awarded a $30M JOC under our SBA approved Mentor-Protégé Joint Venture with Mevacon, an 8(a) certified small business. The three-year contract provides maintenance, repair, upgrade and construction of real property facilities for Army and civil facilities at Ford Hood in Killeen, Texas. Fort Hood is the most populous US Military Installation in the world and covers 214,000 acres.